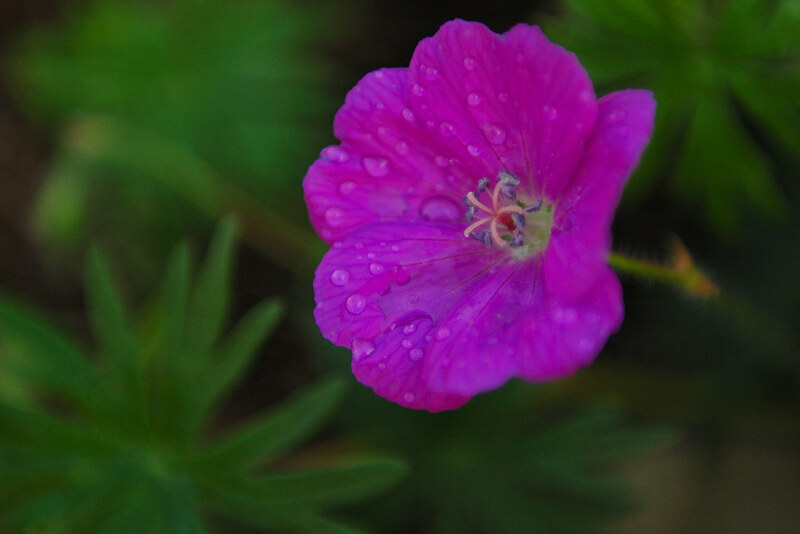 Not the annual geranium (pelargonium), but the perennial variety more commonly known as cranesbill. These pinky-purple flowers are just starting to emerge and are maybe 2" in diameter. The water drops were a result of the water fights the kids held earlier in the day (no, it's really not that warm here, but who wants to spoil their fun?). Wow- that is some purple. I've never seen a purple geranium - beautiful.